Through the repeated cycles of North Korean missile and nuclear testing, negotiations, and sanctions that have characterized international reaction to Pyongyang’s proliferation, Japan has gradually lost ground it its effort to shape events on the Korean Peninsula. Tokyo made some progress in direct negotiations with Kim Jong-il, most notably the visits to Pyongyang by Prime Minister Koizumi Junichiro in 2002 and 2004, but with limited success in improving its strategic position. Since the succession of Kim Jong-un, Tokyo has put greater emphasis on ensuring it is prepared militarily for a more unpredictable North Korea, and strengthened its support for UN Security Council sanctions on North Korean proliferation. On denuclearization, Tokyo has pursued its interests in collaboration with the United States, South Korea, and others in the region. The lack of direct leverage with Pyongyang continues to constrain Japan’s ability to assert influence on negotiations. 1 Whatever economic leverage Japan once had with the North has all but disappeared through the imposition of sanctions. Imports from North Korea were banned after the nuclear test in October 2006, and exports to North Korea were banned in June 2009 following the second nuclear test in May of that year. 2 Restrictions on cash remittances by Koreans in Japan, an important source of revenue for Pyongyang, were also tightened following the missile test in April 2009. 3 The only remaining source of potential leverage is the promise of economic reward should Pyongyang agree to denuclearize, but this too seems less effective in light of domestic Japanese sentiment on North Korean abductions of Japan’s citizens. Ironically, the most effective moment of strategic engagement with Pyongyang resulted in a domestic backlash that then diminished Tokyo’s ability to shape the denuclearization effort. Koizumi’s effort to negotiate the release of Japanese citizens in 2002 produced a tremendous outcry against the government’s handling of the abductions. The successful negotiation of a moratorium on missile tests achieved by Koizumi, and codified in the Pyongyang Declaration, 4 was all but forgotten as the Japanese public became focused on the fate of those thought to remain in North Korea. Although a second visit by Koizumi in 2004 produced the release of some of the abductees’ families, North Korea’s refusal to acknowledge that any additional abductees remained alive ended any support for compromise in Japan. Japanese antipathy toward North Korea over the abductions limited Japan’s role in a negotiated process of denuclearization, and Koizumi’s successors have made further identification and return of Japanese abductees a precondition to economic assistance should Pyongyang agree to denuclearize. Japan no longer had the interest or the ability to compromise in talks with the North. The evolution in Japanese strategic thinking has not been all about Pyongyang. Three changes have encouraged Tokyo to consider new missions and capabilities for its military, calling into question its strategy of limited armament and alliance with the United States. First, North Korean proliferation and the growing military might of China prompted concerns about the reliability of the US extended deterrent. Second, China’s rapid military build-up coupled with its increasing maritime assertiveness was perceived in Tokyo as a bid for regional hegemony, and the territorial dispute in the East China Sea raised the specter of direct armed confrontation between China and Japan. Third, these new North Korean and Chinese capabilities have sorely tested the domestic consensus within Japan on military self-restraint and raised questions about the relevance of Japan’s pacifist Constitution. 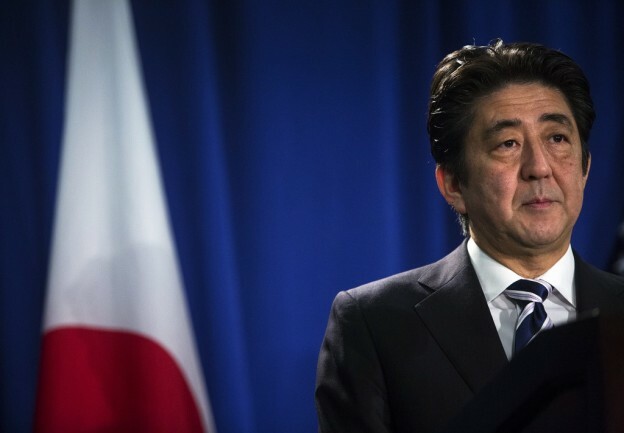 In 2013, this mix of concerns is being reassessed under the leadership of Prime Minister Abe Shinzo after a more belligerent North Korea and a more aggressive China put security in the forefront of Japan’s international agenda. North Korea has played a significant role in US-Japan alliance consultations for two decades, at times enhancing policy coordination and at others diminishing Tokyo’s confidence in the alliance. In 1993-1994, Japanese leaders were wary of being drawn into a war of US punitive action after International Atomic Energy Agency (IAEA) inspectors were forced to leave and then even more nervous about the Agreed Framework and subsequent four-party talks that left Japan on the margins. From 1998 to 2000, a soft US response to the Taepodong missile firing followed by support for Kim Dae-jung’s Sunshine Policy left Japan even further on the sidelines. In contrast, during 2002 and into 2003 a gap opened between Japanese and American policymakers as the United States shifted from branding North Korea as part of the “axis of evil” and punishing it after uncovering its uranium enrichment program, while Koizumi took the opposite tack of instituting his independent effort to engage Kim Jong-il and visit Pyongyang. Today, the frustration between Washington and Tokyo has diminished as Pyongyang has failed to meet the terms of denuclearization outlined in the Six-Party Talks. Repeated North Korean provocations and its success in testing an intermediate-range ballistic missile have resulted in a unified stance that emphasizes crisis management planning and military readiness. Whereas Washington and Tokyo differed in their emphasis in threat perception—with the United States more focused on nuclear proliferation and Japan’s attention focused on missile deployments (including the hundreds of Nodongs within reach of Japanese territory)—North Korea’s continued missile and nuclear testing in 2009 made that difference less relevant. Moreover, the diplomatic effort to curb Pyongyang’s nuclear proliferation now has a global stage in the UN Security Council. North Korea’s shift from the fall of 2008 away from the Joint Statement and the Joint Agreement, which envisioned multi-stage implementation, brought Washington and Seoul much closer to Tokyo in their strategic thinking about the next steps in meeting this serious challenge. As a consensus on the North Korean threat was strengthening in 2010, Japan also awoke to a military threat from China centered on the East China Sea and to the urgency of strengthening ties with the United States, which had been frayed by the DPJ government’s handling of US base relocation on Okinawa. If leadership shifts in the DPJ and the 3/11 tsunami impact complicated strategic thinking, developments in 2012 combined to bring all the driving forces for rethinking together for the first time. Likewise, Japan responded calmly to the news of Kim Jong-il’s death, and announced it would remain vigilant to any indications of instability, committing to close consultations and policy coordination with Seoul and Washington, and even China. 16 Yet Kim Jong-il’s death also created a sense of futility about the prospect of returning to a more productive dialogue with Pyongyang. In a rare appearance on Japanese television, former Prime Minister Koizumi spoke sadly of the missed opportunity that Kim Jong-il’s passing signaled. The DPJ government continued to work quietly to promote humanitarian dialogue via non-profit groups, but the downturn in the months following Kim Jung-un’s arrival in power yet again hardened attitudes in Japan towards any negotiations. As North Korea seemed determined to return to a more provocative stance towards its neighbors in 2012, Japan found itself in unprecedented diplomatic isolation from its neighbors. China posed the first direct military threat to Japan in its history when it sent ships to challenge the administration of the disputed Senkaku/Diaoyu Islands. Within Japan, the outpouring of revisionism regarding the Pacific War and increased advocacy of shedding Japan’s postwar military constraints, related to the “no war” Constitution, revealed a new intensity in anxiety about security. On top of this, the new level of belligerence accompanied by an increased threat capacity in North Korea became the background for a more intense debate over Japanese strategy to meet these challenges. Recent strains in Tokyo’s regional relations have had two results. First, Japanese leaders have little appetite for regional multilateralism given what they perceive as Beijing’s hostility and Seoul’s betrayal. To compound the problem, Japan no longer sits in the UN Security Council, and thus has no front row seat in global efforts to counter proliferation. Japan remains the odd man out in recent high-level summitry. The Xi-Obama meeting at Sunnylands occasioned considerable grumbling in Tokyo, and the contrast with Abe’s visit to Washington in February did not escape notice. There is little confidence that Beijing’s interests on the peninsula conform to the US and Japanese interests there. Likewise, Park’s decision to bypass Tokyo, as well as her decision to encourage a trilateral meeting of the United States, China, and South Korea to discuss North Korean cooperation, has undercut Japan’s role in the current round of regional consultations. Trilateral talks among Washington, Seoul, and Tokyo on North Korea policy continue, yet there is a sense that Tokyo is marginalized even there. Beyond the foreseeable future, it is hard to see what strategic options Japan might exercise in managing its relations with North Korea. Tokyo has not publicly endorsed regime change as a policy goal, but it has seemed more comfortable when Washington’s preferences for regime change dominated diplomacy. When Washington sought a negotiated path for denuclearization, Tokyo seemed more likely to worry about other regional powers and their ambitions. Few Japanese security experts openly debate the process of reunification on the Korean peninsula or speculate on how such a process might affect Japan’s strategic goals. Whether this is because the process of unification is simply too difficult to predict or because Tokyo would have no direct role in shaping the process is unclear. Nonetheless, Japan plans for a Korean contingency, perhaps one resulting in unification, largely in terms of how that would affect its security. Japan’s approach to planning for the conflict that is likely to accompany change on the peninsula is to coordinate through the alliance with the United States. Whether through joint BMD operations, shared ISR capabilities, or other types of exercises and training, the alliance has developed a clear sense of how it would respond to a contingency on the Korean Peninsula. Since Koizumi first advocated it in 2002, Japan has sought opportunities for building what it calls an East Asian Community. 26 Others in the region, particularly in South Korea, have articulated similar visions, and in large part economic rather than security interests drive these visions for closer regional ties. Economic integration with Seoul and Beijing was central to the trilateral summits, begun in Fukuoka in December 2008 that grew out of the ASEAN +3 consultations. The three neighbors continue to work together to develop an FTA, but for the moment politics has interrupted the summitry. Alternative diplomatic initiatives, such as Seoul’s new effort to develop a Seoul, Beijing, Washington dialogue, have used the North Korea issue to reorganize this Northeast Asian collaboration. Cultivating Xi Jinping’s new leadership and taking advantage of Beijing’s frustration with Kim Jong-un’s provocations, Park Geun-hye’s early overtures to China to create a concerted effort to stabilize the Korean Peninsula have left Tokyo out in the cold. Park’s vision of Northeast Asian regionalism depends on a “correct understanding” of history, a not so subtle admonishment of Japan that implies Tokyo should be excluded from Northeast Asian regionalism. 27 Moreover, the Chinese too have refused regional cooperation with Tokyo because of their displeasure over the island dispute. Washington continues to emphasize the need for trilateral consultations with Japan and South Korea on North Korea, but these meetings have been less rewarding than in the past. Creating alternative venues for Northeast Asian diplomacy that exclude Japan, and sidelining established trilateral consultations that include Tokyo, freezes Japan out of current North Korea policy discussions in the region. Little recent Japanese writing on a strategy towards a unified Korea attempts to integrate the long-term impact of these emerging regional strains. Michishita and others writing on the future prospects of Korean reunification did so from a time of closer Seoul-Tokyo relations, and before the events of 2010 made conflict on the peninsula seem more likely. Their arguments were less skeptical of a unified Korea under Seoul’s leadership; indeed, they envisioned a South Korea than remained a “virtual ally” of Japan. 28 Michishita sees Japan’s alliance relationship with the United States as the defining element for its future security after reunification. If security cooperation between Seoul and Tokyo is no longer an option, Japan’s reliance on Washington’s security guarantee would only deepen. Japanese security planners remain focused on the threat posed by Pyongyang rather than on the more fraught prospect of planning for a post-conflict, unified Korea. A conflict scenario is the prevailing presumption regarding the process of unification, but the contours of that outcome remain unclear for Tokyo. Undoubtedly, unification would bring a new set of strategic concerns to the fore. First and foremost, Tokyo would likely be concerned about the orientation of a unified Korea in the overall balance of power in Northeast Asia. If unified under Seoul’s leadership, would it seek accommodation with Beijing or continue its strategic partnership with the United States? A second concern would be the future of Pyongyang’s nuclear program and its management under a unified Korea. Finally, the state of Seoul-Tokyo relations leading up to unification would shape Japanese perceptions about a unified Korea. Current tensions in the bilateral relationship, if unresolved, could become a serious indicator of the tenor of future relations between a unified Korea and Japan. Without adequately resolving contemporary tensions, the prospect of a strategic transformation on the peninsula that would redefine the regional balance of power would render Japan’s future strategic outlook dim indeed. Today, more than ever, the US-Japan alliance remains the primary venue for ensuring Japanese interests in the regional balance of power. In 2005, the United States and Japan outlined “common strategic objectives” for the alliance, and designed a realignment plan for their militaries that would enhance a US-Japan force posture aimed at deterrence. Today, the alliance is taking a step further in its planning for war-fighting. After the successful missile test in December 2012 of an intermediate range ballistic missile that could one day reach US territory, Japanese and US planners recognized the need to further integrate their BMD response, and the Abe cabinet is expected to reinterpret Japan’s Constitution to allow for “collective self-defense,” the ability for Japan’s Self-Defense Force to use force against those who threaten the United States. The threat of a North Korean missile attack, with or without nuclear warheads, opens up significant questions about the US extended deterrent, as it has raised the possibility that Washington might be less willing to defend Japan if American citizens or territory were threatened. This nuclear-age dilemma for US allies is not new, but it is the first time that Japan has had to confront a real instance of “decoupling” in the alliance. As a result, this has fundamentally altered Japan’s thinking about its alliance responsibilities. There are signs, however, of new security dynamics afoot that could influence Japanese decision-making. South Korea’s decision to move to an active deterrent through the introduction of intermediate range missiles has introduced a new dynamic in the region. 29 Japan too has considered the acquisition of counter-strike capability to contend with Pyongyang’s growing missile threat, and in the 2006 Diet debate some argued for the option of “base-to-base” (kichitaikichi) response capability, in other words the acquisition of missiles that would offer Tokyo a conventional strike capability. This debate has resurfaced today, and discussions with Washington over the option of shared counter defense measures that would enable a more active deterrent vis-à-vis Pyongyang are expected. The US-Japan alliance discussion today will reflect Seoul’s position as well as growing Japanese concern over US military sustainability in the Asia-Pacific region. The recent consultations between the United States and others in the region suggest the possibility of a renewed diplomatic effort with North Korea. Japan’s role in any restart of the Six-Party Talks would be reluctant, however, given the Abe Cabinet’s harder line in its approach to North Korea. Since returning to office, Abe has raised the profile of his cabinet’s efforts to advocate on behalf of the abductee families, and his appointment of Furuya Keiji as minister in charge of abductee issues suggests that compromise in any negotiated framework would depend on Pyongyang’s responsiveness to the Japanese request for information and meetings with those still alive in Pyongyang. 30 Japan has committed itself once again to an abductee first policy on North Korea. On denuclearization, Tokyo is likely to confine itself to enhanced sanctions and defense preparedness. The Iijima visit in May seems to have borne little fruit, yet the Abe Cabinet may try again to establish direct contact with Pyongyang to gain access to information on the abducted Japanese. Until a bilateral avenue for reconciliation between Tokyo and Seoul can be explored, even the trilateral consultations with Washington could prove frustrating. China’s growing interest in sanctioning Pyongyang, and in playing a bigger role in pressing Kim Jong-un to come back to the negotiating table, has opened new opportunities for cooperation between Seoul and Beijing. Tokyo, therefore, relies more than ever on the US-Japan alliance to ensure that its interests in Northeast Asia are protected. Japan’s future options in Northeast Asia, therefore, could be narrowed should Tokyo be unable to find accommodation with Beijing and Seoul. Of course, new opportunities for partnering on North Korea could become available, and Tokyo has increasingly relied on its strong relations with Mongolia to communicate with Pyongyang. On a broader regional level, recent efforts to push forward strategic cooperation with Russia could offer some opportunity for Abe, if managed well, to offset the Korean and Chinese effort to limit Japan’s options. Crafting a better strategic position in Asia will take time, however, and for now, Tokyo’s best way forward is to ensure that its interests continue to be at the top of Washington’s priorities as it copes with Kim Jong-un’s North Korea. Korea: Troubled Bilateral Relations in a Complex Multilateral Framework,” International Journal of Korean Unification Studies18, no. 1 (2009): 54-92. Sato saw more promise in Japan’s economic leverage, however. 2. Sanctions on all imports and exports were extended for another two years in April 2013 following the February 2013 nuclear test. Cabinet Office of Japan, “Measures Taken by Japan Against North Korea,” April 5, 2013, http://www.kantei.go.jp/foreign/96_abe/decisions/2013/0405tyoukanhappyou_e.html. 3. After the April 2009 missile test, Japan reduced the remittance amount subject to reporting from 10 million yen to 3 million yen. Cabinet Office of Japan, “Wagakuni no tai Kitachosen sochi ni tsuite,” April 10, 2009, http://www.kantei.go.jp/jp/tyokan/aso/2009/0410seimei.html. 4. Ministry of Foreign Affairs, Japan, “Japan-DPRK Pyongyang Declaration,” September 17, 2002, http://www.kantei.go.jp/jp/tyokan/aso/2009/0410seimei.html. 5. The Ministry of Defense proposed in 1998 to establish a new elite unit dedicated to counter terrorism within the GSDF, and training was conducted with US Delta Forces. In March 2004, they were activated as Japan’s Special Force Group. 6. “Japan Shows off its Missile-Defense System,” online, December 9, 2012, http://www.kantei.go.jp/jp/tyokan/aso/2009/0410seimei.html. 7. The October 3, 2013 announcement at the 2+2 ministerial in Tokyo announced that a second X-Band radar will be deployed in Kyogamisaki. US Department of State, “Joint Statement of the Security Consultative Committee: Toward a More Robust Alliance and Greater Shared Responsibilities,” October 3, 2013, http://www.kantei.go.jp/jp/tyokan/aso/2009/0410seimei.html. 8. In 2005, as part of a broader effort to establish new emergency defense command and control guidelines, a law specifically designed to cope with the rapid response required in the face of a ballistic missile attack was passed by the Japanese parliament. 9. Ministry of Defense, Japan, “Korean Peninsula,” Defense of Japan 2013, Chapter 1, Section 2, 2013. 10. Glenn Kessler, “Envoy Warns of N. Korea Deal Fallout,” Washington Post, October 26, 2007. 11. Masashi Nishihara, “North Korea’s Trojan Horse,” Washington Post, August 14, 2003. 12. Even under Lee, however, Japan found trilateral cooperation difficult. See Sachio Nakato, “South Korea’s Paradigm Shift in North Korean Policy and Trilateral Cooperation among the U.S., Japan and Korea,” International Journal of Korean Unification Studies 17, no. 1 (2008): 41-61. 13. In the joint press conference with Wen Jiaobao after their summit meeting in Beijing, Lee Myung-bak and Hatoyama Yukio thanked China’s premier for his thorough briefing on North Korea and noted their shared interest in peace on the peninsula. http://www.kantei.go.jp/jp/tyokan/aso/2009/0410seimei.html. 14. Hatoyama strongly supported Lee’s decision to seek international review of the Cheonan sinking, and stated that North Korea’s action cannot be condoned in any way, pledging continued close coordination with the ROK and the United States. “Comment by the Japanese Prime Minister on the Announcement by the Republic of Korea of the Results of the Investigation into the Sinking of a Military Patrol Vessel. http://www.kantei.go.jp/jp/tyokan/aso/2009/0410seimei.html. 15. Ministry of Foreign Affairs, Japan, “Press Conference by Yoshito Sengoku,” November 23, 2010. Additional press conferences in the days following can be found at “The Shelling Incident by North Korea,” http://mofa.go.jp/region/asia-paci/n_korea/shelling/index.html. 16. Sheila A. Smith, “Japan Responds to Kim Jong-il’s Death,” http://www.kantei.go.jp/jp/tyokan/aso/2009/0410seimei.html. 17.Sheila A. Smith, “Japan and the East China Sea Dispute,” Orbis 57, no. 3 (Summer 2012). 18. Blue House, Republic of Korea, “The President Meets with U.S. Defense Secretary Chuck Hagel,” September 30, 2013, http://www.kantei.go.jp/jp/tyokan/aso/2009/0410seimei.html. 19. Sheila A. Smith, “Japan Prepares for the Worst from Pyongyang,” http://blogs.cfr.org/asia/2013/04/08/japan-prepares-for-the-worst-from-pyongyang/. 20. US Department of State, “Joint Statement of the Security Consultative Committee: Toward a More Robust Alliance and Greater Shared Responsibilities,” Secretary of State John Kerry, Secretary of Defense Chuck Hagel, Minister for Foreign Affairs Fumio Kishida, and Minister for Defense Itsunori Onodera, in Tokyo, October 3, 2013, http://www.kantei.go.jp/jp/tyokan/aso/2009/0410seimei.html. 21. Sankei shimbun reported that Iijima met with Song Il-ho, Kim Young-il (Deputy Foreign Minister), and Kim Yong-nam (presumed to be close to Kim Jong-un). Sankei shimbun, May 20, 2013. 22. Yomiuri shimbun, May 21, 2013. 23. “Japan Tips Its Hand Via North Korea,” Asia Times, May 21, 2013, http://www.kantei.go.jp/jp/tyokan/aso/2009/0410seimei.html; The South China Morning Post headline read “Japanese Envoy’s Secret Pyongyang Trip More Worrying than Missile Launches,” May 18, 2013, http://www.scmp.com/print/news/asia/article/1240631/aide-japanese-pm-returns-north-korea. 24. Ralph A. Cossa, “Japan-South Korea Relation: Time to Open Both Eyes,” July 2012, http://www.cfr.org/south-korea/japan-south-korea-relations-time-open-both-eyes/p28736. 25. Michishita Narushige, “Kim Jong Un, Uranium, and the Artillery Barrage: How to Think Strategically about North Korea,” CSIS Korea Platform, November 30, 2010. 26. Cabinet Office of Japan, “A Sincere and Open Partnership: Speech by Prime Minister of Japan Junichiro Koizumi,” Singapore, January 14, 2002. 27. Park Geun-hee, “A Plan for Peace in East Asia: Cooperation between Korea, China, and Japan Needs a Correct Understanding of History,” Wall Street Journal, November 12, 2012, ; as well as her speech to the United States Congress on May 8, 2013, http://seoul.usembassy.gov/p_pv_050813a.html . 28. Michishita Narushige, “Alliances After Peace in Korea,” Survival 41, no.3 (Autumn 1999): 68-83. 29. James Schoff , “The New Missile Risk on the Korean Peninsula,” Carnegie Endowment for Peace, September 17, 2012, http://carnegieendowment.org/2012/09/17/new-missile-risk-on-korean-peninsula/dugs. 30. Furuya has asked Japan’s Coast Guard to reopen its investigation of maritime incidents that might involve North Korean abductions. On June 7, the Asahi shimbun reported that 70,000 cases of sea accidents after 1962 were to be reinvestigated with the aim of discovering additional abductee cases. Furuya has also publicly stated that his agency will continue research on the 860 people that could have been abducted by North Korea. NHK Interview, June 21, 2013.